With as few listings as there are available to market, it is important now more than ever to get as much benefit out of marketing your listings as possible. This is one place where you have a lot of marketing control. On your own website, you can post and promote how you like — as opposed to portals and the MLS, where the listings are controlled by the publisher and your options are limited to some basic copy, uploading great photos and paying for additional advertising. I recently had an opportunity to spend some time with Gahlord Dewald. For those of you who don’t know Gahlord, he is an online marketing strategist, a frequent contributor at Inman and is always one of the smartest guys in the room. Our discussion about SEO, content marketing and the world of online real estate wound its way into a full-blown webinar (as well as this infographic). We all know how valuable listings are: They are the lifeblood of any thriving real estate profession. The thing that often gets overlooked, however, is that listings are an amazing form of content that provide many opportunities for marketing besides syndication, open houses and “just listed” Facebook posts. In this infographic, we outline some of the low-hanging opportunities to get more value from your listings. As a content marketer, I view listings as a secret weapon. With some basic SEO tactics and a lot of creative thinking, listings can be a precious resource — one that should not be squandered. 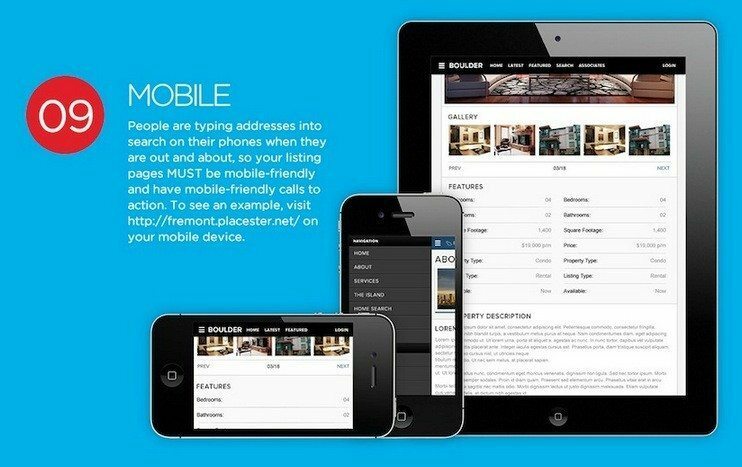 Let me know your thoughts as well as any successful ways that you market your listings. Leave a comment below and I’ll be sure to reply.